"It's very possible I'll go back to Blur, it really is very possible," Damon Albarn told the BBC. "The truth be known Graham and I have been hanging out together a bit. He's great, it's fantastic to get my old friend back. So it's good but I can't really say any more than that." 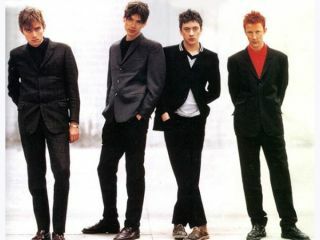 Graham Coxon left Blur in 2002, and - after recording 2003's Think Tank without him - Albarn stated he "felt uncomfortable" about continuing as a band. It really wouldn't surprise MusicRadar if Blur did reform at some point. But, seeing as how Damon Albarn's opera, Monkey: Journey To The West, is on its way back to London and a new Gorillaz album hangs in a "halfway finished" balance, we don't recommend holding your breath. Oh, and let's not forget that Coxon is currently recording with Pete Doherty. Maybe next year, then?